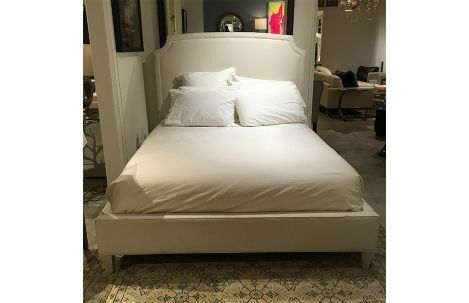 Queen bed with rails, cut corners, 60"H plain inset and tapered legs. Fabric in Dixie Sparkle. Finished in white wash.